Octopus Orchestra Musical Toy is rated 4.7 out of 5 by 25. Music knows no age. Your baby can tune into their inner composer with this introduction to classical music from Baby Einstein. With 2 modes of play, the friendly musical octopus allows you to easily toggle between music discovery and music making. With Discovery mode, your baby can hear the names of different instruments and the sounds they make. With Composer mode, your maestro-in-the-making can create their own masterpieces as they add and subtract instruments. Simply tap the baby-friendly keys on this piano toy to discover the limitless possibilities of music. The music note button invites your baby to a front row seat of a full symphony. From tummy time to seated play, Octopus Orchestra Musical Toy hits all the right notes for your baby. Dimension (in) 9" x 5" x 8.25"
Rated 5 out of 5 by cmciver82 from Great features! Lights and noises are perfect for our little guy. Even our toddler was entertained! Rated 4 out of 5 by jennchapin from Such a cool toy! Love this ! My little one loves the music and the colors of the toy! It really kept my little girls attention for a long time it was so fun to watch my little one play and enjoy herself! Rated 5 out of 5 by JLC85 from Delightful sounds! I love the sounds this toy makes. Much more pleasant than most noise making toys. And even my older child loves it! Great for a wide ange range. Rated 4 out of 5 by NCfam from Catchy music Easy to use, My child's face lights up when he uses it. The Octopus head could be a little clunky but otherwise a great toy. 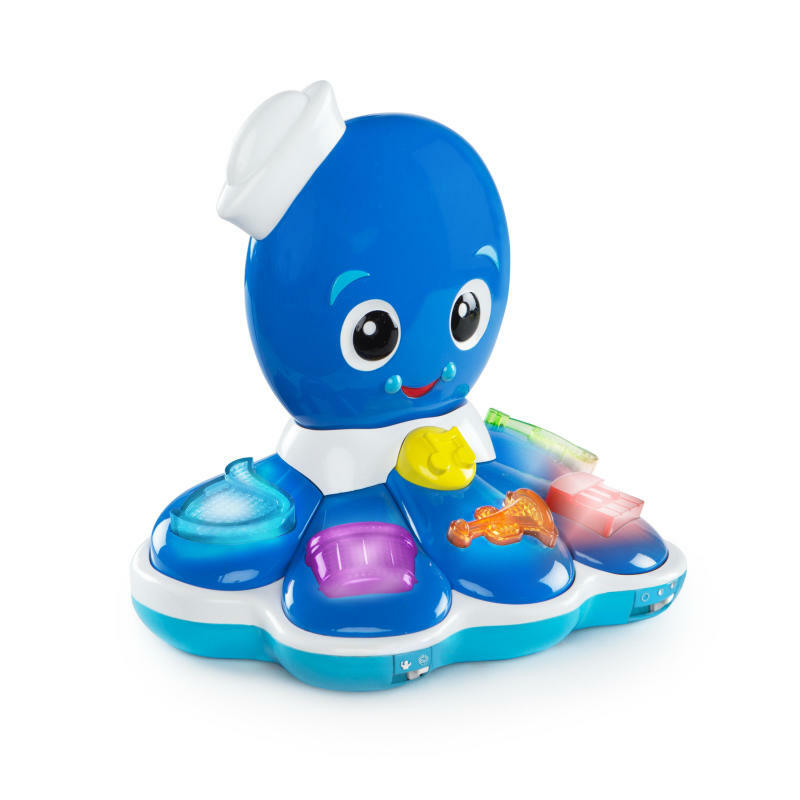 Rated 5 out of 5 by Megan2724 from So fun' Both my 2 year old and my 4 year old love to play with this octopus! Great product design! Rated 4 out of 5 by Malmighty from Cute Octopus toy LO like this bobble head octopus. He giggles when it moves and lights up.